May buy 1 for yourself and 1 additional as a gift. May use 1 per visit. Must use entire value in 1 visit. Valid only for option purchased. All goods or services must be used by the same person. Must sign waiver. Reservation required and based on availability. Rental clubs available or bring your own. 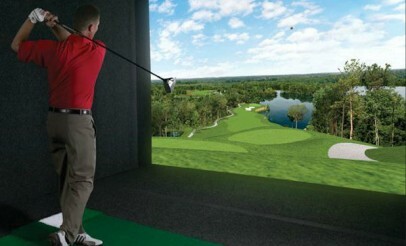 Clubs must be cleared for use in simulators. Expires 4 months after purchase. See the terms that apply to all deals. Option A is good for up to 1 hour. Option C is good for up to 2 hours. When you're ready to put your swing to the test, choose between any of Golf Anytime's 67 virtual courses; including Pebble Beach, Torrey Pines, and St. Andrews! Interested in taking your game to the next level? 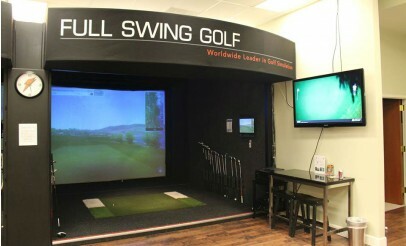 Come try Golf Anytime's Full Swing Golf Simulator to fine tune your swing! They have accurate "launch monitors" to show you what's really going on with your swing, as well as the ability to analyze the key "swing metrics" you need to make a difference in your game.